Joe Scarborough wasn’t pleased with Donald Trump’s refusal to apologise for increasingly frequent inflammatory racially and ethnically tinged statements. During a segment on Monday, the “Morning Joe” co-host slammed Republican members of Congress for backing Trump despite his comments and policy proposals that have racial, ethnic, and religious bends. “They can’t be morally outraged this week when they knew what he was doing last week,” Scarborough said of Republicans who have endorsed Trump, the presumptive Republican nominee for president. “These Republicans that are so shocked and stunned at this clear act of racism had all the evidence in the world before that he had done things that stopped them from endorsing him,” Scarborough continued. 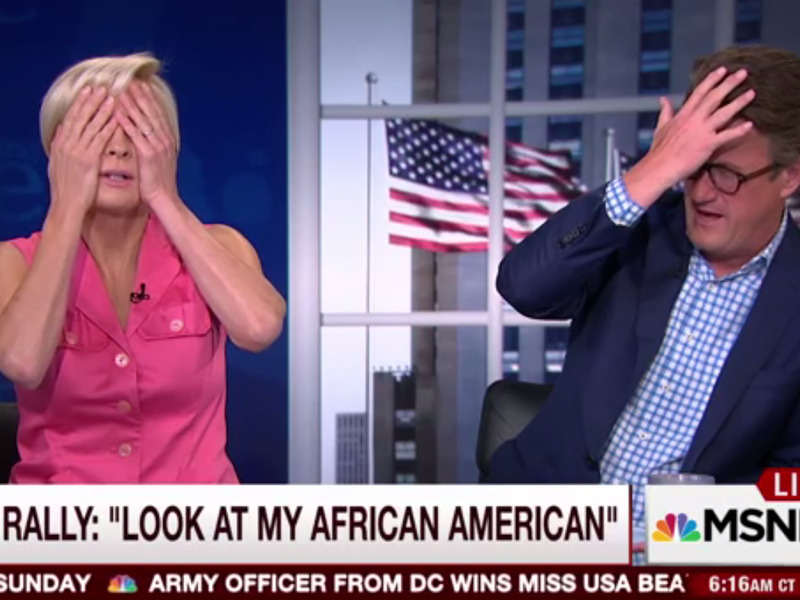 The “Morning Joe” co-host repeatedly knocked Trump on Monday over the mogul’s racially tinged rhetoric. “What century is that man from?” Scarborough said several times with his hand on his forehead. “He’s exhausted, he’s delirious, he’s out of his mind,” Brzezinski said. And during a conversation with Republican Sen. Jeff Flake later in the show, Scarborough condemned Trump’s suggestion that Indiana-born Judge Gonzalo Curiel cannot fairly preside over lawsuits against Trump University because of the judge’s Mexican heritage. “What standard is this? It’s not American,” Scarborough said. Publicly, the relationship between Trump and Scarborough and Brzezinski has apparently cooled in recent days. While the “Morning Joe” hosts have been criticised for their occasional coziness with Trump, in recent days, the real-estate magnate has resumed rhetorical attacks on the show. Last week, Trump knocked the show shortly after Brzezinski expressed dismay at House Speaker Paul Ryan’s endorsement of the presumptive Republican presidential nominee. I don’t watch or do @Morning_Joe anymore. Small audience, low ratings! I hear Mika has gone wild with hate. Joe is Joe. They lost their way!